Mbixane defended both his best traditional DJ and best traditional music radio programme, respectively at the recent Satmas. His followers have dubbed him ‘South African Boss of Awards (SABA)’. This after the much loved Umhlobo Wenene FM traditional music DJ, Saba Mbixane, swept the boards at the 8th annual South African Traditional Music Achievement (Satma) awards in East London recently. 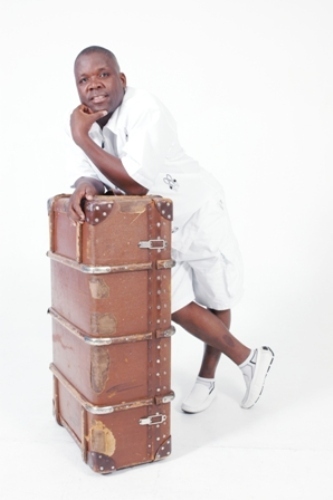 Mbixane defended both his best traditional DJ and best traditional music radio programme, respectively. He bushed a side his nemesis Utalagu of Ukhozi FM. An emotional Mbixane thanked the public for voting for him after he received more than 40 0000 votes to Utalagu’s 90 000. Mbixane’s traditional music programme, Lavuthibhayi, aired on Saturday mornings, got 360000 votes against Ukhozi FM’s Sigiya nge ngoma’s 61000. Mbixane, started presenting traditional music on Umhlobo Wenene FM in July 1985.